For the past six years, the vast majority of my runs have been along the Thames. With some nudging from my trainer, this year I’ve switched from running my Saturday long runs around the river circuit, to instead heading up to Hampstead Heath most Saturday mornings to work hills into the mix. The only downsides to river running that I can tell are the wind (sometimes fierce enough to make forward motion a struggle!) and the complete and utter lack of hills (though I recognise that for a lot of you that’s a bonus, not a downside!). The Hampstead loop incorporates the formidable Swain’s Lane (of Pain), but also a fair few smaller hills, and is a great mix of road, trail, forest, fields, and bridleways. It’s usually the only time of the week that my trainers get a break from the pavement, and when I last took time off to taper to & recover from the Copenhagen marathon, I was really craving that route by the end of the six weeks. A few friends had organised a trip out to Epping Forest over the winter, but I wasn’t able to make it then, so I jumped at the chance when I heard my friend Murdo was organising another trip out there last Saturday. I’d run in Epping Forest once before when we were camping at Debden, and I can safely say it was one of the worst runs of my life! I got unspeakably lost almost immediately after leaving the campsite, the GPS was useless when there’s no signal to load maps, the Forest maps I did have were laughably inadequate (they have much better maps now! ), and on top of all that, I had (for the only time in my running career) to squat in the woods like a common bear. Or Pope. 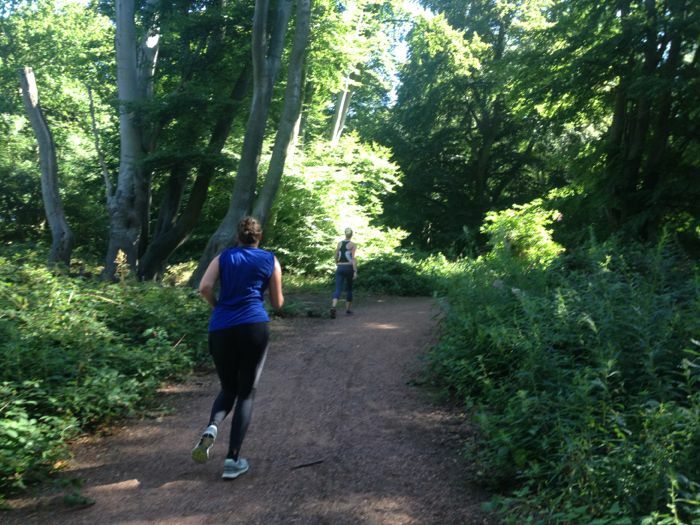 Even still, I wasn’t put off running Epping Forest again, especially not with other people who’d run it before, and I was keen for a change of scenery and to conquer some new hills. Bonus points that Saturday was utterly perfect weather for running – dappled sunshine through the trees and just barely cool enough to require leggings (in my book anyway). The paths and bridleways in Epping Forest are nicely maintained, and at this time of year, there were only one or two spots where it was difficult to avoid getting your trainers muddy. The big downside is that Epping Forest is really poorly waymarked, and it’s stupidly easy to get lost, even if you’ve been before. So the inevitable happened, but we asked a fellow runner for directions, and he ended up running with us for the next 40 minutes to show us the way! An analysis of my GPS map afterwards shows that he ended up taking us the long way around even after living in the area his whole life, so I don’t feel too bad that a bunch of urban runners missed a turn, too. 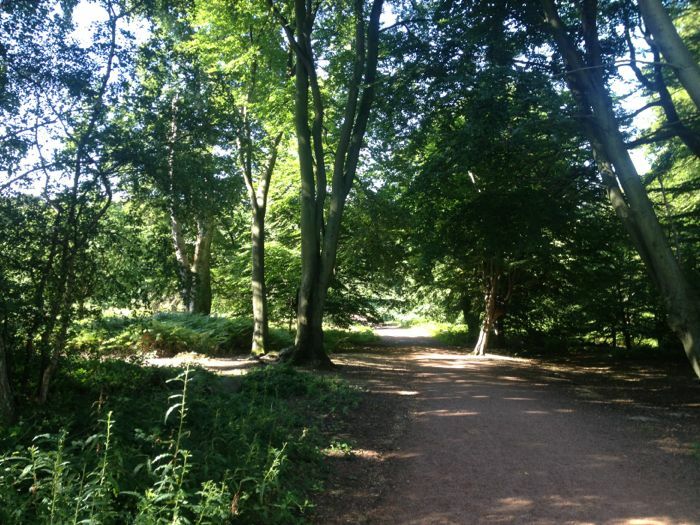 If you’d like to run Epping Forest with a safety net of waymarked (and measured!) 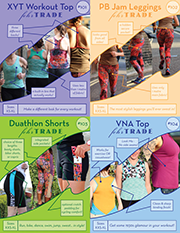 routes, get the tube to Loughton or Debden station, then pick up one of the official trails. Wow, it looks really gorgeous! What a beautiful way to spend a Saturday.